Magnaflow's all welded axle-back and cat-back Exhaust Systems are mandrel bent from one hundred percent stainless steel and easily bolt right on to your GM F-Body for years of trouble-free performance. Each exhaust system has been dyno tested with proven results in increased horsepower and torque. 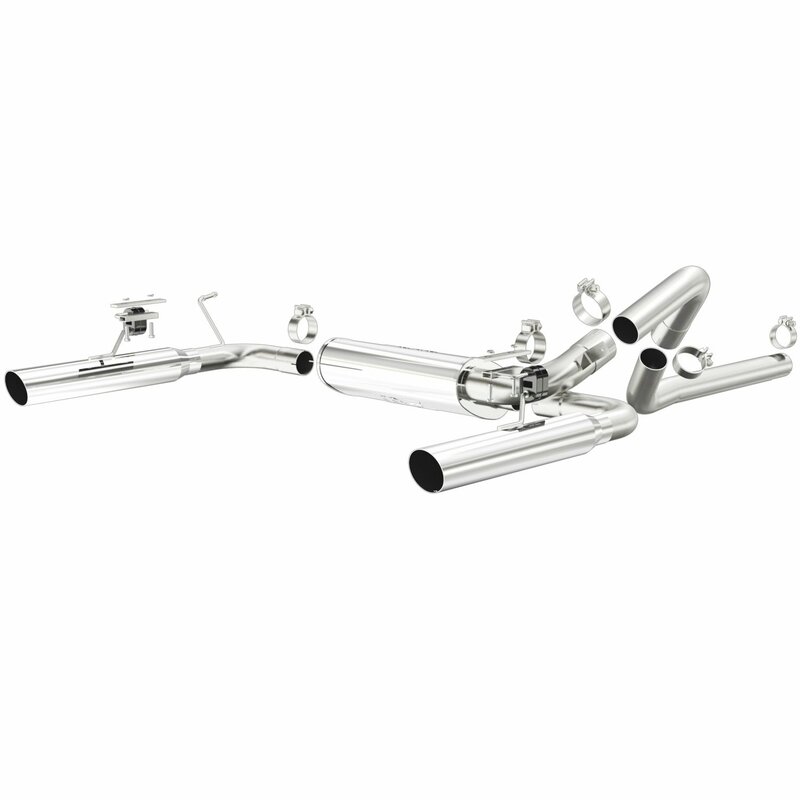 Fully polished stainless steel mufflers create a smooth, deep tone. These systems are built so well, Magnaflow includes a lifetime warranty! Does Magnaflow 15684 fit your vehicle? 15684 - Magnaflow Camaro/Firebird Exhaust Systems is rated 5.0 out of 5 by 1. Rated 5 out of 5 by Bailz from Excellent Exhaust This exhaust is one of the best purchases that I have made. Its not too loud, and its not too quiet either. This exhaust provides an excellent tone to my Camaro and my neighbors don't hate me when I start it up in the morning or when I drive by.